With Easter just around the corner, you may be wondering about what the best way to work off a few extra pounds after letting yourself loose on some Easter eggs. 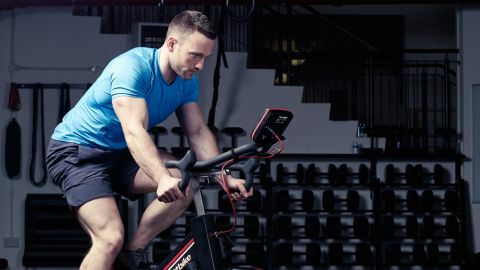 We’ve put together a fat-burning/weight loss workout that will dramatically increase your EPOC (exercise post oxygen consumption) to keep you burning calories long after you’ve left the gym. Make sure you prepare well for this workout, by giving yourself an adequate warmup to avoid any injuries and ensure you cool down properly and stretch out after you’ve completed it. This is a quick and simple workout that requires virtually no equipment, with many easy alternatives for the equipment used i.e. substitute a bag of sugar for the goblet squats, or take yourself for a run if you don’t have access to a bike. So, no excuses – and enjoy the chocolate guilt-free! 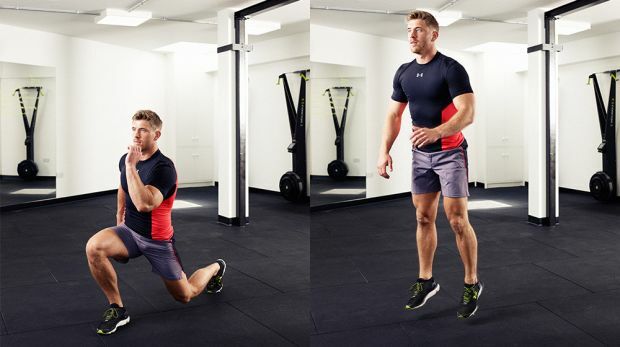 Perform this with a light dumbbell, or a kettle bell if you fancy more of a challenge. Remember to not go too heavy as we are focusing on burning fat and not building muscles and 20 reps of a heavy weight may be a bit of a struggle. Adding weight to this will help work your thigh muscles as well as your glutes. A great functional dynamic exercise, which will also help to build up your strength in a wide range of muscle groups. As you get tired, remember to be disciplined with yourself and complete the movement properly to gain the best results. A great way to work on your explosiveness, strengthen lower limbs and improve your balance and coordination. This exercise targets a large range of muscles groups. From your triceps down to your calves, this works out your whole body and get your heart pumping to help you say goodbye to those stubborn pounds. A great way to get rid of stress as well as burn fat during your workout. Not only is it a great exercise to target your core, incorporating an explosive jump just before the slam will up the fat-burning capabilities. Combine exercises 4 and 5 together in a superset to really push yourself. The finisher. Max out on the last exercise and chuck everything at it, and you’ll know it was worthwhile!